We lost all our hopes when we came to know about our son Ayush treatment cost. I was planning to sell left out ancestral land in my village. But seeing such a huge response from the donor really gave us a hope that still humanity is alive in this world and we are very sure with this money, support and prayers we will save Ayush. He is still in manipal hospital undergoing regular dialysis and is under the observation of senior Doctors and is expected to undergo kidney transplant in few weeks. A homesick Ayush hangs on to every word his father says. 5-year-old Ayush hesitantly nodded his head, he had been promised this, one too many times. His kidney disease had gotten him a permanent room in Manipal Hospital in New Delhi, since the past 2 months. ‘His new friends’ were the doctors and nurses - the only people aside from his parents that he could interact with within those 4 pasty walls. 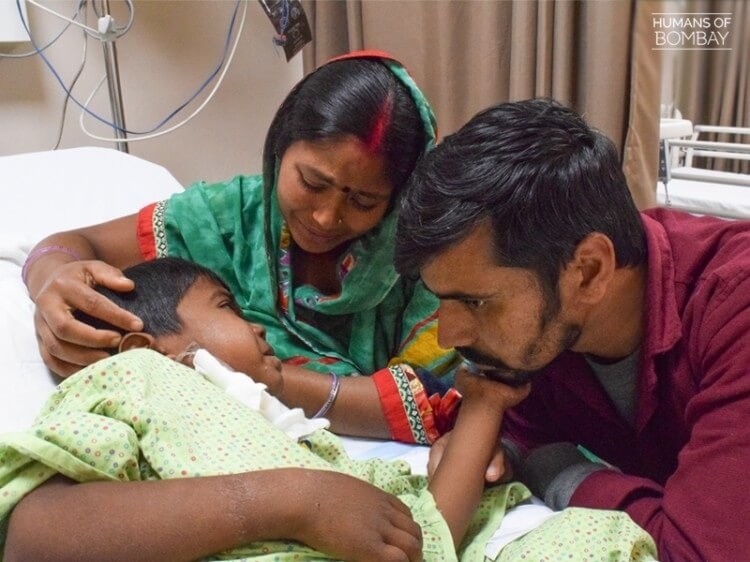 In mid-October 2018, Ayush first showed signs of swelling in his arms and legs. His body had turned a sickly shade of yellow. The symptoms along with their child’s pleas to make the pain stop forced Ayush’s parents to relive a tragic memory of the past. It was 1 and a half year back. They were going from the hospital to the cemetery. Their 7-year-old son had passed away due to pneumonia. The memory jerked the family into action and without a moment’s delay they rushed their 5-year-old to the hospital closest to their house in Jharkand. I saw the doctors’ worried expressions and understood that something was wrong. A few hours later, they diagnosed Ayush with kidney disease. I was distraught and angry and could barely think. As I left the hospital to break the distressing news to my wife, I feared that she would not survive it. The family met with another blow when the hospitals in Jharkhand refused to take on their son’s case and referred them to the metropolitan cities. Ayush’s kidneys were giving up and his health had taken a turn for the worst. It got to a point where their young one stopped complaining about the pain altogether and spoke less and less until they barely heard his voice anymore. You should have seen him jumping around and laughing before all this. He is our darling boy and loves making new friends. We knew we had to protect our little one at all costs. We sold off whatever we could and a day later found ourselves in a new city. The family comprising of Ayush, his younger brother, and his parents are currently living in the waiting room of Manipal Hospital. Their relatives living there help them with food but being from a humble background, they are themselves struggling to meet day to day costs. The family is on their own now. The doctors here have stated clearly that a kidney transplant is his last hope. But raising Rs. 21 Lakhs in such a short while is impossible for us. I used to be a waiter and lost our family’s only source of income when I moved here. It feels like our lives are spiralling out of control and there is nothing we can do. Time is running out quickly for little Ayush. They have spent over Rs. 1 Lakh which they borrowed at a 5% interest rate. Each medical bill that comes their way buries them into a deeper financial hole. Pappu, the sole breadwinner worked as a waiter before he moved to New Delhi for Ayush’s treatment. His monthly income of Rs. 8000 could barely keep their house running let alone fund a transplant worth Rs. 21 Lakhs! I used to get nightmares after I lost my first child. But after Ayush’s diagnosis, I have stopped sleeping completely. What if he needs me and I am not there? What if he is having trouble breathing again? I can’t go without him for a few hours so how will I live in a world where he is no longer there? 5-year-old Ayush’s life depends on a kidney transplant. His family has already lost one son and can’t afford to lose another one. They have done everything possible, even moved cities and gone down to one meal per day. They need your help in raising Rs. ? to save their oldest son’s life. One contribution from you can change everything. You can also share their story on Facebook and Whatsapp and help them reach out to more people like you. Your share could be as good as a donation for Ayush Kumar! Not everyone can afford to take care of their loved ones. Ayush Kumar's life can only be saved by donations made by kind people like you.